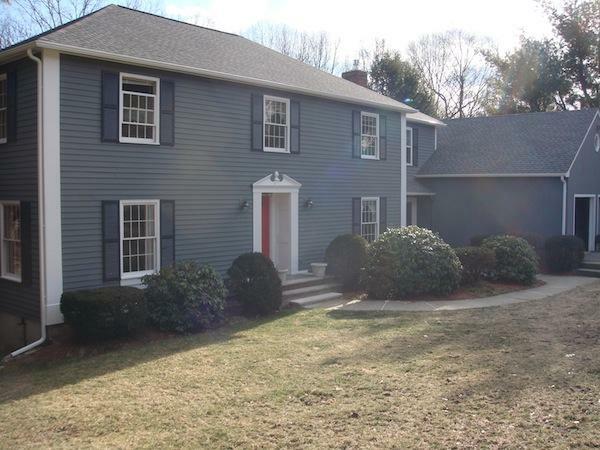 Rich and Alisa moved into their new home in Winchester, MA with the understanding that the existing heating and cooling system needed to be replaced. With no gas service on the street, they decided that neither oil nor propane were great choices. Alisa contacted EnergySmart early in February. Within 10 days we visited the home and prepared a proposal for the installation. Drilling consisted of two 6-inch diameter borings that were 15 feet apart. Pipes were installed into each of the borings and sealed in place with geothermal grout. The pipes were brought into the house through four 2.5-inch cores through the concrete foundation approximately 4 feet below grade. 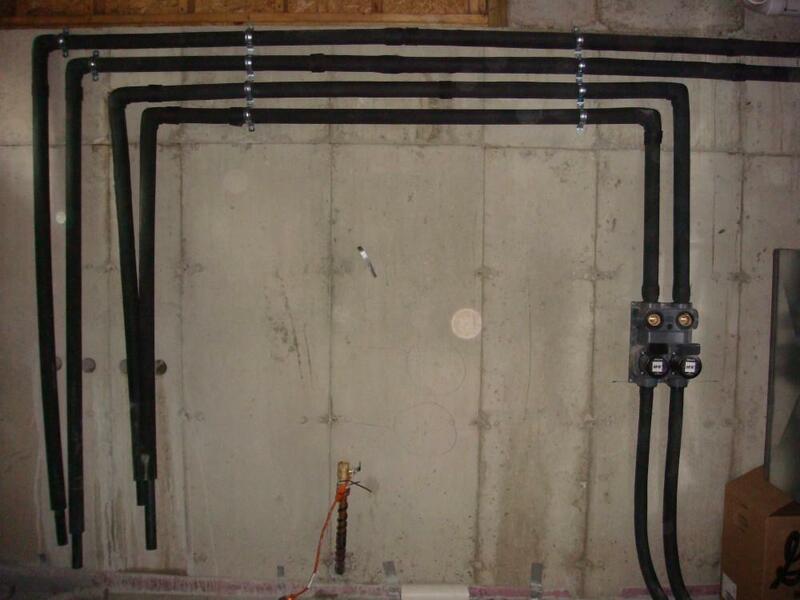 Two lines were connected to each geothermal heat pump. One heat pump would condition the basement and the main floor while the other would condition the second floor. New programmable EnergyStar heat pump thermostats with LED display replaced their old thermostats. The existing air handlers, air source heat pumps, and select ductwork were removed to make space for the new geothermal equipment. 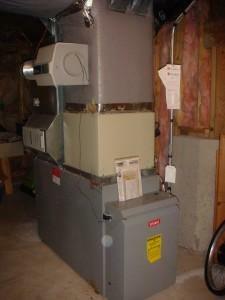 The heating system itself has been fantastic… It provides comfortable and quiet heat to the whole house. We are very happy with all the decisions made along the way with where to run new ductwork and how to fix the existing issues. They provided regular and detailed updates every step of the way and everyone was very respectful of our home and our time. If you would like to see more photos of this installation, please visit our YouTube Channel or visit our online photo album! When Jomol and her husband Saiju decided to build their dream home in Lexington, MA, fossil fuel heating was out of the question. They contacted several geothermal contractors before deciding on EnergySmart Alternatives, located only a few miles away. We met with their builder in July 2011 do discuss the components of a geothermal heating and cooling system and to see how we might fit into the construction team. When construction began in the fall, we began the permitting and design process, electing for a closed loop vertical boring system connected to two geothermal heat pumps. 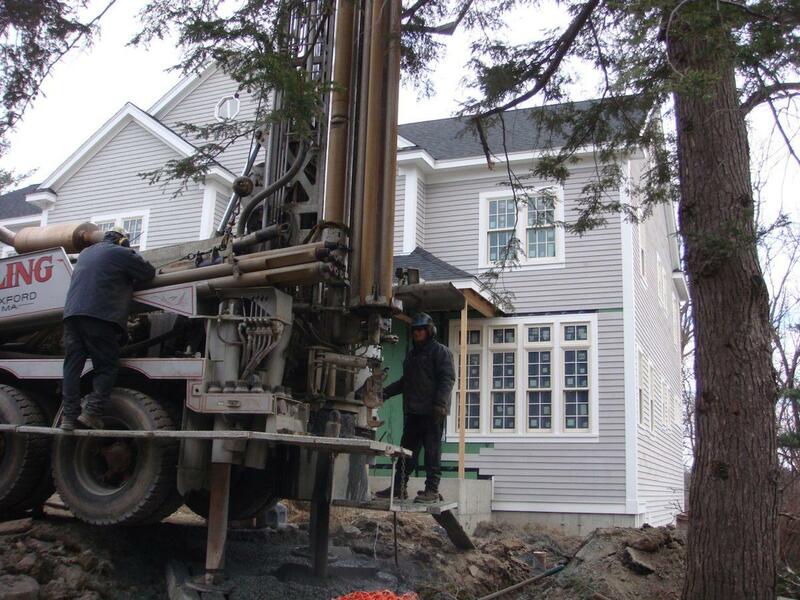 The homeowners are eligible for the 30% Federal Tax Credit for the geothermal installation. Many components of the geothermal system are similar to those required for a conventional heating and cooling system. These components would have been needed anyway, making the geothermal system nominally more expensive than the conventional system. 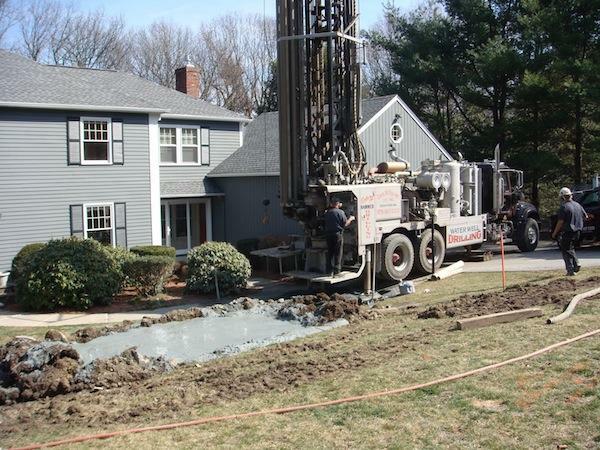 The installation of all underground structures was done at the same time, minimizing risk of damage to the geothermal ground loop, electrical, water, cable or sewer lines. Drilling consisted of two 6 inch diameter borings – one for each heat pump. Pipes were installed into each of the borings and sealed in place with geothermal grout. Four pipes were brought into the mechanical room through 2.5-inch cores through the concrete foundation approximately 4-feet below finished grade. Two 1.25” diameter pipes were connected to each geothermal heat pump. The geothermal heat pump system takes the place of a fossil fuel furnace and outdoor air conditioning condensers. 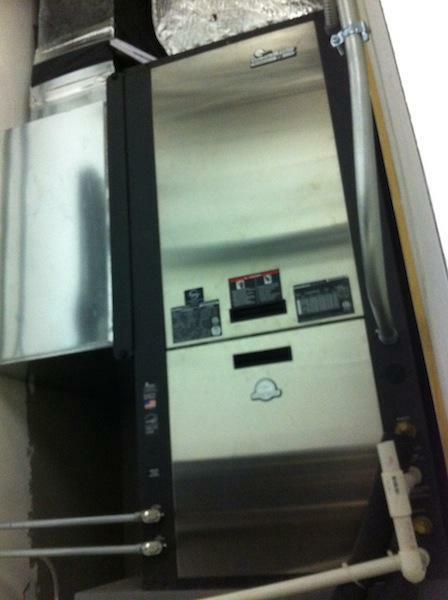 Any ductwork in unconditioned space was sealed and insulated according to the Stretch Code. The geothermal hot-water assist feature has been activated to pre-heat water before it enters the gas on-demand water heater. It is estimated that this feature will produce approximately 50% of the family’s hot water needs over the course of one year. A zoning controller was provided such that the basement can be zoned separately from the main floor. Three programmable EnergyStar heat pump thermostats with LED displays will control temperature on three floors, plus the basement. A power meter has been provided to monitor electricity use by the geothermal heat pumps in real time. An energy recovery ventilator (ERV) was integrated with the ductwork to bring fresh air into the home with minimal energy loss. Learn more about this installation by visiting the photo album and watching the video! Complaints about forced hot air usually stem from uncomfortable temperature swings or dryness. 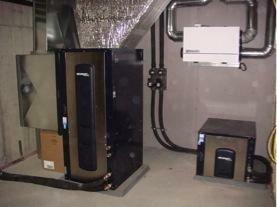 In the past, it has been common practice to install heating systems that are 2 to 3 times too large. These systems send out a blast of very hot air over a short period of time and then shut off when the thermostat detects that the desired temperature has been reached. A appropriate sized system that runs for a longer period of time provides a more even and comfortable distribution of heat. The photo below is a perfect example. We found this 15 ton boiler in a 6 ton house. Thermostats in rooms heated by the sun may cause the rest of the house to be cold. Alternately, a thermostat that is located in a room that tends to be cooler may cause heat to come on in other rooms that are already warm. 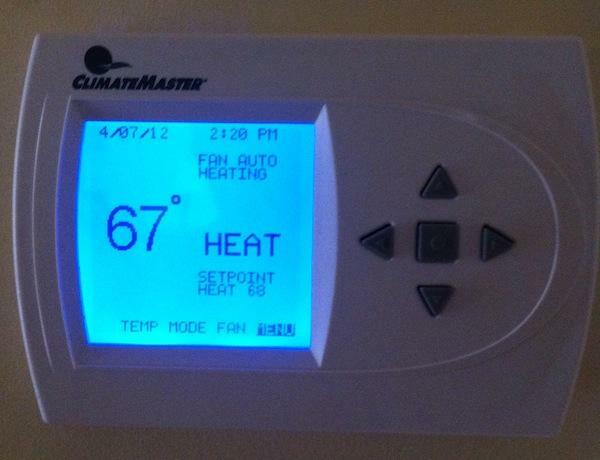 Thermostats should be located in spaces where comfort is a priority. An experienced HVAC installer will be able to choose a thermostat location for optimum performance and comfort. Many comfort issues can be resolved by moving the thermostat to a more appropriate location. Combustion based forced air heating systems are drying because the hot humid exhaust air is vented outside with dry cold air coming in to replace it. Because geothermal systems do not have exhaust or fresh air make-up, this exchange of hot humid air for dry cold air does not happen. Homeowners Bill and Joyce in Leominster, MA were tired of fuel oil prices and were ready for a greener solution to home heating and cooling. 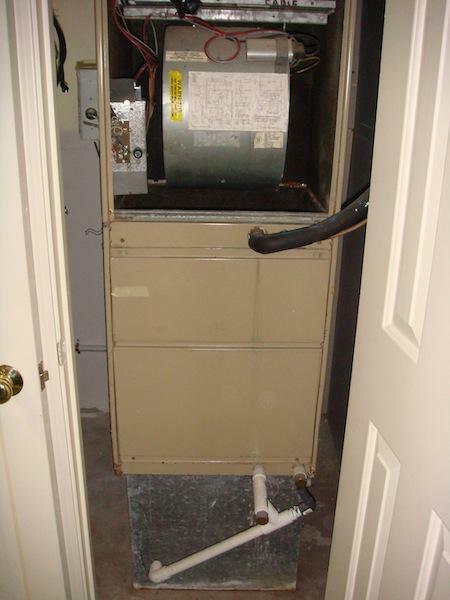 Joyce contacted EnergySmart in September when their air conditioning system quit working. Within a few days of her call we visited their home to assess the property for geothermal. Residents of Leominster are eligible for 0% interest loans through the Mass Save Heat Loan program. Drilling consisted of two 6-inch diameter borings with a depth of 250 feet each. Pipes were installed into each of the borings and sealed in place with geothermal grout. The pipes were brought into the house through 2.5-inch cores through the concrete foundation approximately 4-feet below grade and were connected to the geothermal heat pump. The existing oil furnace, oil tank, and air conditioning condenser were removed as the unit will provide both heating and cooling. The geothermal unit was placed in the location of the old oil furnace. Although the homeowners have a new propane fueled on-demand water heater, a desuperheater was included with the geothermal unit should they decide to utilize the hot-water assist feature in the future. A new programmable EnergyStar heat pump thermostat with LED display replaced their old thermostat. We also provided a power meter that will monitor electricity use by the geothermal heat pump in real-time. I have installed over 200 tons of geothermal heating systems throughout New England and there has never been a situation where we haven’t “reached what we needed”. First, it starts with an understanding of how the underground components of a geothermal systems actually work. Closed loop systems (antifreeze circulated through underground pipes) in New England are usually installed in 6″ vertical borings ranging from 250 to 400 feet in depth. The borehole is drilled right through bedrock which is usually encountered within 0 to 50 feet. Groundwater is typically encountered within this same depth range. During the heating season, these systems depend on heat being transferred from the bedrock and groundwater, through the pipe into the antifreeze, and then into the geothermal heat pump in the house. While groundwater improves the heat transfer properties of the underground portions of the geothermal system, the presence of copious amounts of groundwater is not absolutely critical to the operation of the system. Open loop systems circulate actual well water through the geothermal heat pump system. In some cases, the well doesn’t have enough capacity to support a geothermal system. This problem can be overcome by frac-ing the well or deepening the well to increase its capacity and yield. In extreme cases, systems that were originally intended to be open loop can be converted to closed loop when the well doesn’t produce enough water. Sometimes, salty or brackish water can be encountered when drilling in close proximity to the ocean. Poor quality water can wreak havoc on geothermal system components causing corrosion and mineral deposits. Similarly, if salt water or hard water is encountered, systems originally intended to be open loop can be converted to closed loop. I hope this post clarifies that there is almost never a situation where you can drill and drill and not be able to install a geothermal system. 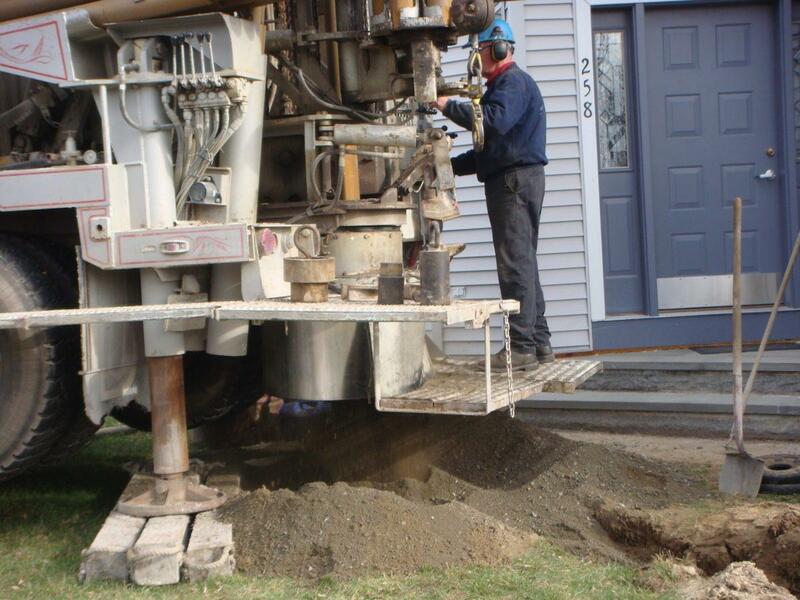 Usually, the problem is whether or not the drill rig fits on the property! Recently, I met with a local architectural designer for lunch and we were discussing how one might go about decreasing their carbon footprint. Most people would think solar panels, right? When we looked at the numbers, geothermal was the winner by a landslide. 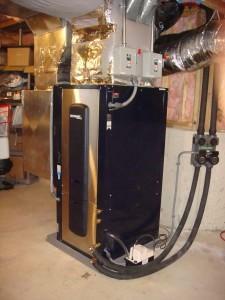 Suppose we take a typical home in New England that has oil heat – say 2,500 square feet of conditioned space. 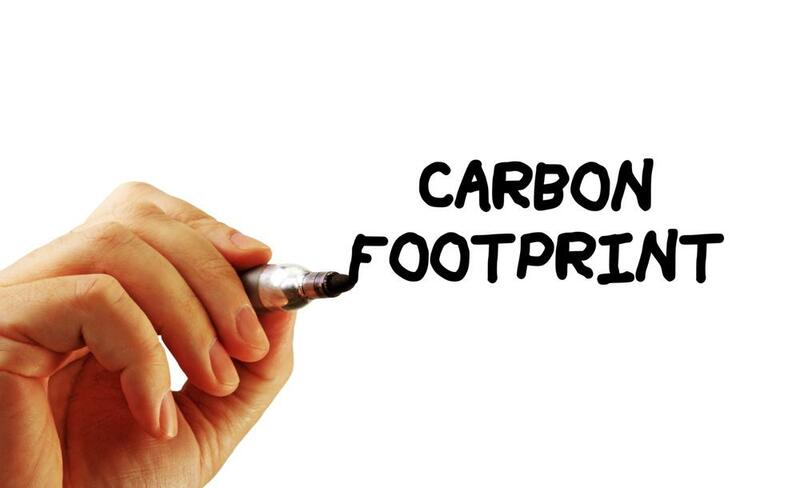 Let’s compare the carbon footprint reduction associated with solar PV panels and a geothermal heat pump system. We used the US EPA Household Carbon Footprint Calculator as the basis for our back-of-the-envelope calculations. It is likely that the home would use about 1,000 gallons of home heating oil each year which is equivalent to 22,300 lbs of carbon dioxide. The geothermal system would use about 8,000 kWh of electricity which is equivalent to 6,700 lbs of carbon dioxide. The net reduction would be 15,600 lbs of carbon dioxide (~70% reduction) just for heating alone. Solar PV panels are simply replacing one source of electricity for another. This ‘typical’ home could possibly install a 8 kW system which is roughly equivalent to producing 6,600 kWh of electricity each year. The PV system therefore results in a net reduction of 5,500 lbs of carbon dioxide. Clearly, eliminating fuel oil has a much larger impact on your carbon footprint that offsetting your electricity use with solar panels. Of course, using solar panels to offset your geothermal electricity use would be the ultimate green combination! 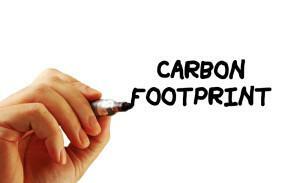 If you would like to calculate your own carbon footprint, try out the US EPA Household Carbon Footprint Calculator. Let us know how your home rates! As someone who makes a living designing and installing geothermal systems in New England, I cannot tell you how disheartening it is to hear and read all the misinformation about how goethermal works, or whether it works at all. Let’s face it – there’s a lot of bad information our there. I’ve heard it all. Today, I’d like to share with you two of the most popular myths about geothermal heating and cooling systems. Myth #1: You need to buy a fossil fuel heating system anyway to serve as a backup. This simply isn’t true. A properly designed geothermal system will provide all of the heating and cooling that you need. 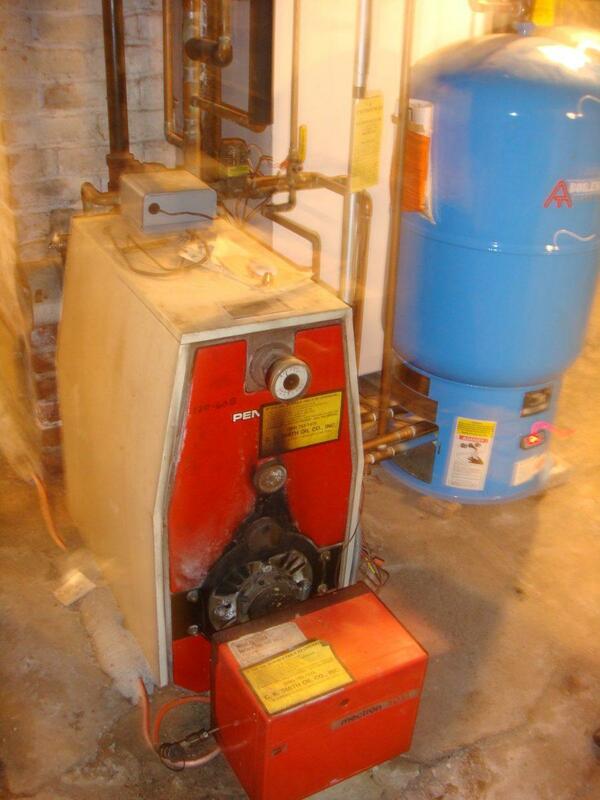 There is no need whatsoever to install a gas or oil boiler as backup. Myth #2: You can’t install these systems in the winter. The drill rig that installs geothermal borings drills right through bedrock. They certainly have enough power to drill through ice. Trenching in winter can be quite difficult, though; the degree of difficulty depends on your geographic location and ground cover conditions. A few straw bails can keep the frost out of the ground long enough to trench within a small area. Even if frost penetrates through the straw, the ground usually isn’t frozen for more than a few inches. We have encountered excavators who choose not to dig in the winter because of wear-and-tear on their equipment. Others don’t feel like shoveling their equipment out of a snow bank and some excavator operators don’t like to work outdoors in the winter – I guess that’s their prerogative. I don’t like working in the cold either! Transitioning from a fossil fuel heating system to a geothermal heating system is sometimes tricky. Sometimes we set up a temporary heat source if the transition is expected to take more than a day or two. I have encountered many homeowners who choose to tough it out by putting on some extra sweaters. If you have your own questions about geothermal, please post them here, or send us an email. We’d be happy to answer them!